Together we can provide you with the absolute best quality supplements, summaries of the most up-to-date scientific information available, a convenient way to order, and discounted prices for my patients. I have arranged for you to receive a 10% discount when you use my Doctor's discount code: galeramd, either via internet or over the phone. You will also receive free shipping if you sign up for optional automatic 30, 60, or 90 day auto-reorders. These supplements may also be tax deductible or HSA reimbursable when prescribed by me for a specific medical condition. 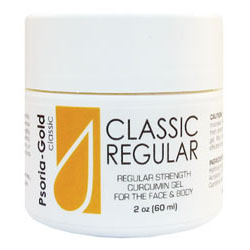 I am intrigued with the science and effectiveness of topical Psoria-Gold. It is my featured recommendation below.